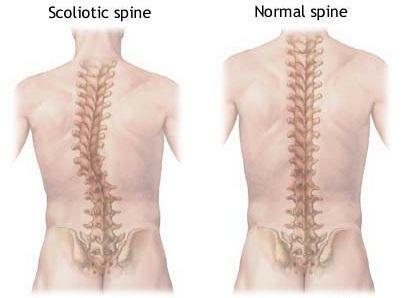 Scoliosis is a medical condition in which spine curves to the left or right side. Levoscoliosis is similar to Scoliosis. When the spine bends to the left side, the condition is known as Levoscoliosis. The problem becomes critical when the curving of spine presses the ribcage, causing deformation and other issues for heart and lungs. The Lumbar spine is the common part of vertebral column which gets influenced by levoscoliosis. Due to thoracic enclosed lungs cage, a person feels out of breath. Levoscoliosis has different kinds, ranging from infantile to pubescent; however the common form is Functional Levoscoliosis which is caused due to wrong posture. Spine curvature to the left side is called Levoscoliosis. The symptoms are similar to Scoliosis; however, this medical condition imposes serious health concerns due to the presence of heart on left side. Though there is no intervention of spinal column with left side curvature, but the direction can apply pressure over ribcage. As a result, the deformation occurs that impacts on the functionality of the heart and lungs. Kids’ bones are not completely formed whereas women’s bones are soft in nature; it is the reason, Levoscoliosis affects younger people and females’ more than older people and men. At an early stage, the problem develops back pain. Later on, the muscles start contracting. Whenever a person observes one of these changes in the body, it is advised to make an appointment and X-Ray to diagnose the disease for proper treatment. Treatment is not required to handle mild cases as these issues are covered automatically. In case, deformity is obvious, specific treatments will be applied according to the condition and age of the patient. 1- Braces – To decrease the pain and avoid the bending of body, hard or soft brace can be used. 4- Surgery – Surgery is an effective treatment when spine angle range is above 45. Curvature cannot completely overcome through surgery thus physical therapy is also required to get desired results.